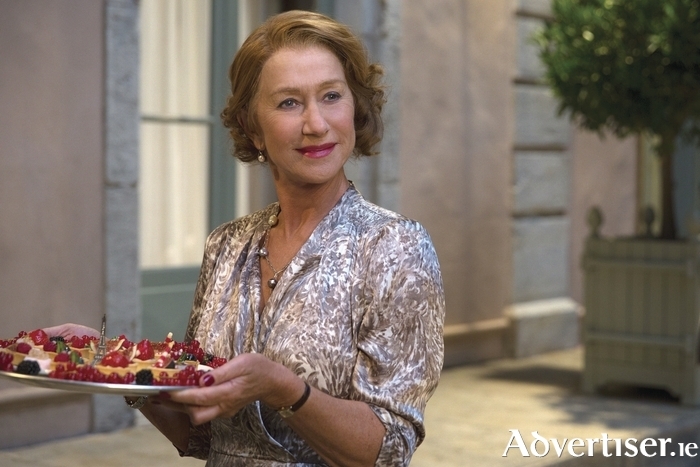 Helen Mirren in The Hundred Foot Journey. HELEN MIRREN stars as the rather less than friendly owner of a posh restaurant who does not like the idea of an Indian restaurant opening opposite hers in The Hundred-Foot Journey which is being screened in the Town Hall Theatre this evening at 8pm. Directed by Lasse Hallström (Chocolat ) and based on Richard C Morais’ novel, the film centres on Hassan Kadam (Manish Dayal ), a brilliant cook who moves to a quaint village in the South of France to open an Indian restaurant. He is undeterred that only 100 feet opposite stands a Michelin starred classical French eatery. However when he meets the icy proprietress, Madame Mallory (Helen Mirren ), Hassan finds he may have bitten off more than he can chew.